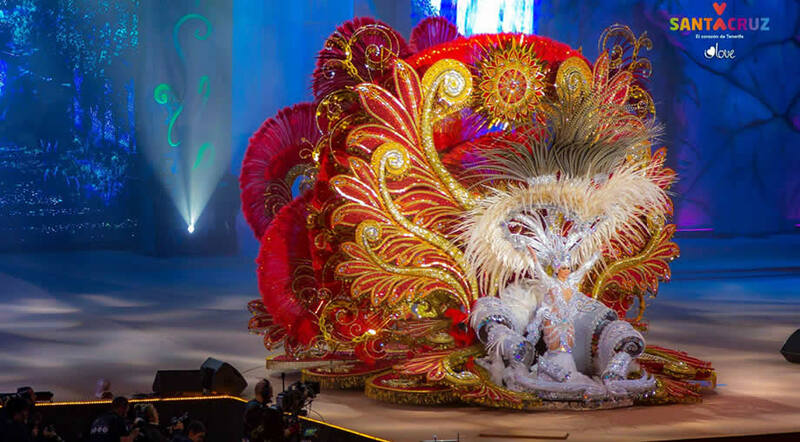 The Santa Cruz de Tenerife Carnival has chosen its queen for 2018: her name is Carmen Laura Lourido Pérez, representing Fuentealta, with a design by Jorge Gonzalez. The event Gala de Fantasia took place in the capital of Tenerife, in front of over 5000 people who assisted in the gala. First Dame of Honor - Rocío Díaz Medina, representing the Añaza-Carrefour Commercial Center. Second Dame of Honor - Ana Deisy Sabina García, representing the La Laguna - Alcampo Commercial Center. Third Dame of Honor - Rosalía Barreto Suárez, representing McDonalds. Check out the album Gala de la Reina on Facebook in order to see more photos from the big gala with all the contestants. The Carnival in Tenerife continues and you can take part in the event by going to the big parade in Santa Cruz. Check out the complete schedule on our website.